Twelve local government authorities constitute Greater Western Sydney, the fastest growing and most diverse metropolitan region in Australia. With a regional population of 1.5 million, it has been described as the dynamic economic powerhouse of the nation. Over the last 20 years there have been efforts within the region to develop mechanisms for innovative regional governance. One of the latest, TeamWest, aims to harness people, resources, expertise and information to pursue widely shared outcomes and to deliver better planning and better services to the people who live and work in the region. It is a process of collaboration acknowledging that achieving regional social, economic and environmental outcomes depends not only on resources and skills but also on organisation of a broad range of stakeholders. 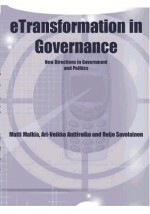 This chapter draws on the experience of the authors in TeamWest, and provides an illustration of one of the many specific initiatives of TeamWest — the development of a regional Web site as a vehicle for the exchange of knowledge and information of relevance to citizens and leaders within the region. It describes in detail how the Web site was developed, and explores the potential and issues involved in building regional governance infrastructure in an information age.